IMatch solves the problem of cataloging and managing small and large collections of digital files by making them searchable and accessible. 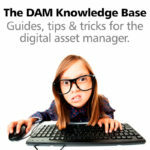 The reliable and affordable pro-grade digital asset management system (DAM) for Windows. IMatch Anywhere is a set of technologies which add server functionality to IMatch. You now can access IMatch databases from any device and any operating system, locally and remotely. All that's needed is a web browser. IMatch Anywhere is an add-on for IMatch. It extends IMatch with server functionality based on modern web technologies. For product videos and more information, visit the IMatch Anywhere page. I have been using Lightroom and IMatch since 2006 and consider both to be absolutely crucial for the processing and organization of my 100,000+ digital images, a collection that increases in number with each passing year. IMatch provides so much organizational flexibility and power, with it I can find any image or combination of images that I may need, in just a few seconds. Amongst its many powerful organization tools, it supports filters, color coding, thumbnails customized just the way I want, optional scripting for true customization, and so much more, it’s only limited by my imagination. IMatch 3 has been a reliable workhorse of a program for many years, however the new IMatch 5 is in a class all by itself by as it takes image/media management to levels I have never seen before. IMatch is just one of hundreds of programs I have purchased a license for over the 30+ years I have used computers, yet it’s one of the very few that I consider to be absolutely indispensable; I cannot imagine using anything else to organize my digital media. Because after using IMatch for at least 9 years, I cannot conceive a better DAM software. Solid as a rock, customisable as per your wishes, excellent price / value. Top support and well..the mother of all applications… well, that MAY be a slight exaggeration. But it is DAM good. The limitation of the sw up to now has been the user in front of the keyboard. And with a completely new user Interface and new features, I’m waiting for the time to go live with it. I am an amateur photographer and genealogist. My image collection was about 25,000 images when I started with IMatch many years ago and has grown to about 55,000 images today. I know in my mind that I have an image somewhere that just suits the purpose for one of my many collages, one of my entries into my genealogy database or perhaps, a request from my wife for a print of a certain image taken many years ago. Before IMatch, it could take me many hours to find that image. I started by cataloging all new digital images while digitizing and cataloging my existing negatives and old prints. After many years, I can find “that image” with just a few clicks in a very short time. I could not have done this without adopting DAM principles and the IMatch software with the availability of the hierarchical its cataloging features. I have grown with IMatch and am looking forward to working with the many very powerful features in version 5. It’s amazing the forethought you have put into this software that even this was foreseen and a solution built in. I am amazed, as always, at IMatch’s sophistication and ability to do anything I ask of it.